Each year, the look and functionality of company websites grows and changes dramatically. That was certainly the case in 2018, and 2019 is sure to be no different. So what can we expect to change in the wide world of web design in the year ahead? 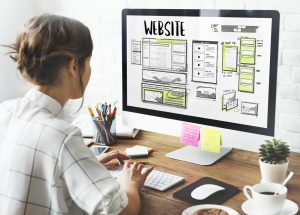 Let’s take a look at some crucial changes that may be on trend for long island website design in 2019. In the past couple of years, web developers started designing sites that were more clean and simple. Minimal designs, or flat designs, have been created more frequently because they load quicker than an image laden site. This also aids in mobile compatibility. Having a site that loads fast is essential, because today’s web surfer is rapidly losing patience. A flat design of a website is all about usability, which also helps it maintain a strong SEO value. No one is into clutter anymore, and the most important aspects of your company’s site are highlighted with the use of a flat design. Expect to see more websites making the switch in 2019! As we mentioned before, speed is of the essence for today’s internet savvy population. If your page isn’t loading to full usability in literally five seconds, your audience is bouncing to a faster loading site. No one has time for any nonsense these days, so make sure your site is designed with speed in mind. In 2019, we expect people to get less patient to the point where five seconds becomes an eternity. A few years ago, it was only heavily suggested that your website company Long Island design your website with mobility in mind. For 2019, this is not a recommendation but an absolute requirement! The majority of web searches are now coming from mobile devices. Every search engine has a readily accessible app ready to go for their user’s latest search. So listen up, developers! Your sites need to be designed with the best, fastest, and cleanest mobile friendly design possible. 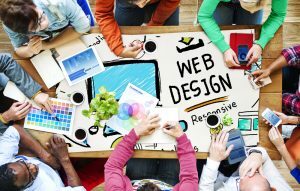 As we get in to 2019, it is important to think of your web design a bit differently than you have been. Many new design trends are on their way, but the most popular ones that we are seeing are sites with broken grids or asymmetrical designs. Although flat and minimal designs are also making their mark, many designers are going for the bold look of broken layouts as well. 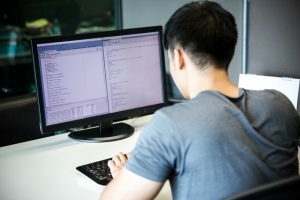 This is also helpful to a web developer because this method allows them to maintain a consistent and aligned layout when they add copy, images, or calls to action. The structure of a grid is not only attractive, but organized as well. It has been noticed that these design trends are also very engaging to users, so don’t be afraid to take some chances in 2019. This is just the tip of the web design iceberg when we talk about approaching 2019. The internet is taking over, so the rapidly changing world of design and functionality is only going to increase. 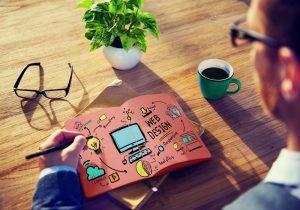 By keeping some of these design trends in mind for your next site, you will be sure to stay ahead of the game for the years to come!